The accommodation of athletes from around the world are in the 5 * Hotel Skiathos Palace at Koukounaries area. 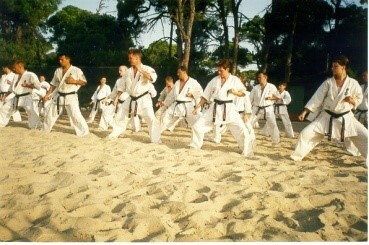 Their training is done in the Park Koukounaries and at the beach in very early morning and before sunset. 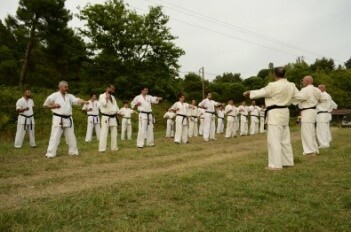 At the end of the Camp, are degrees DAN exam, at the European and Japanese standards .The last day, carried official Arbitration Seminar of the Greek Federation unarmed combat contact Full (FULL CONTACT), which involve all instructors of Club Members all Organisations promote the sport of SOSAI MAS OYAMA. In Seminar teach 4 SHIHAN Referees MAIN REFEREE KOUMITE the European and World Organization SHINKYOKUSHINKAI.